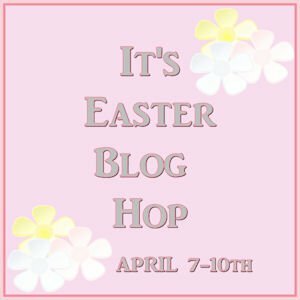 WELCOME TO DAY #4 (the last day) of the IT'S EASTER Blog Hop, where a group of talented crafters has been showing their Easter wares. Here's my project for DAY #4 - This is a JELLY BEAN BAG that I made using a small, food-safe snack bag to hold jelly beans, and I embellished it with a decorative header card. 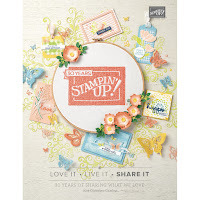 The paper I used for this was a 12x12" scrapbook pre-print with this pretty flower on the edge of a photo spot. I just trimmed it down to fit. I added a pink punched eyelet edge (by Martha Stewart), punched two small holes using the Crop-A-Dile. I threaded a polka-dotted ribbon and trimmed the ends to look like petals for the flower. The ribbon? It's a "Celebrate Holiday" ribbon boutique from Michael's -- designed for Christmas and in their 90% off bin. That's 3 yards for 20 cents ... gotta love a bargain! 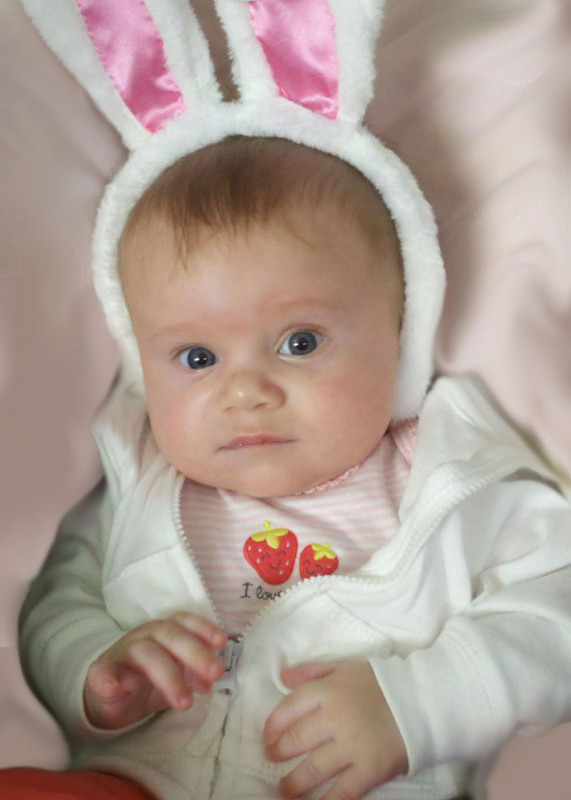 And here's a extra little item that I just loved for an Easter basket, though it was store-bought. 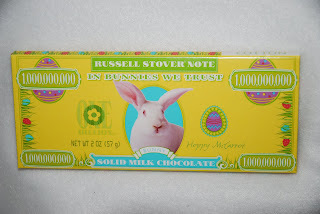 The size of a dollar bill, this cute "Russell Stover Note" is a 2-oz. solid chocolate bar. 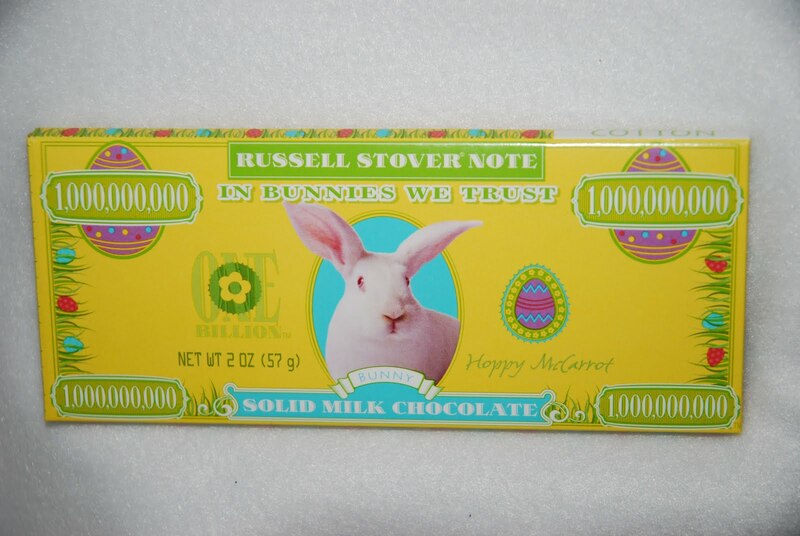 Very punny, signed by Hoppy McCarrot, and marked "In Bunnies We Trust." Sweet! REMINDER: Post a comment here too, to be eligible for the Hop-wide BLOG CANDY: One lucky follower will win the brand-new Paper Crimping Tool I mentioned in Day 1 and Day 2's post. You can use a crimper to seal edges (like with the "sour cream container" shown yesterday) or to create textured interest. I picked this tool out specially for this hop, since it's not a tool that everybody has in their arsenal! TO WIN IT: Posting deadline is now passed. UPDATE: Hop is now over ... thank you to all who participated. I will leave up the post, but take down the links for space considerations. It's been a blast doing this hop with you..I'll be stopping in to see what you create next. 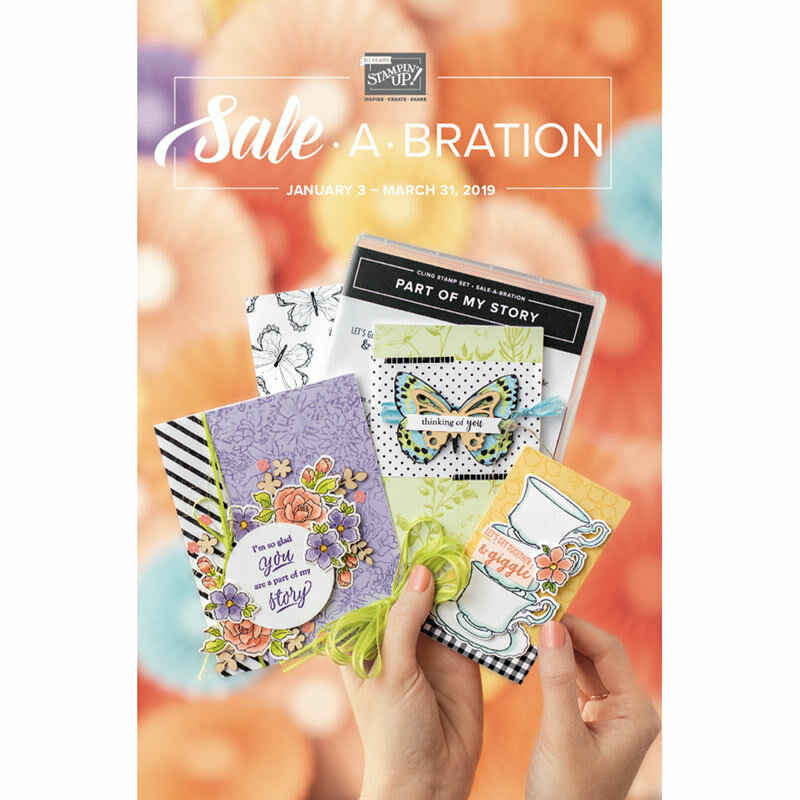 Ellen, Super cute projects. I love your idea for the ribbon. 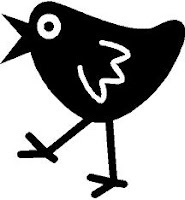 Thank you for joining me as a part of my first blog hosted blog hop. I love your treat bags so so cute!!!!! I always love visitng your blog my dear friend! Thank you for the inspiration. How cute! I love the Jelly Bean Bag idea & the Bunny Money too! I'm a new follower. Enjoyed your posting. Your treat bag is cute, and that chocolate bar is neat!! I think I have 1 more blog and then I will have commented on all the post for the Easter Hop, thank for all the fabulous inspiration!! Like the other post stated great idea for the ribbon. 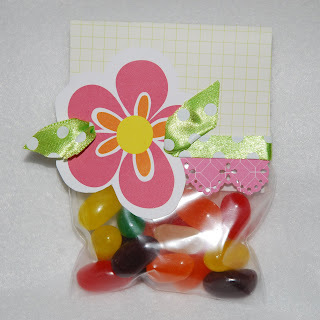 These are super cute I think I will make them for my childrens' classsmates.Great job on the hop.